Lun Tse is a self-taught artist with a good-natured spirit that breathes life into his work. Preferring to create while immersed in the vision, he typically works on an average of 6 pieces at a time, aligning the essence of the series throughout. He encourages new artists to be experimental and strive to perfect technique before the art itself, stating, "Don't look at your mistakes as mistakes; take them as acts of learning. Try not to perfect your art; try harder to perfect yourself for the arts." At an early age, Lun Tse drew intricate fantasy art comic books reminiscent of works like those of Frank Frazetta and Boris Valejo. With the help of instructional art books and experimentation with a great variety of mediums, Tse polished his artistic skills and used this expanding knowledge to pursue freelance projects of all styles and forms. His branching out with creative expression included practicing calligraphy, painting murals, writing instructional art books for North Light Publishing, and gardening. He considered each venture as an opportunity to expand his prowess as both an artist and a professional in his field. Ever perseverant, Tse won numerous festival awards during this period, and even had his work featured at a number of posh Boca Raton galleries. Tse professionally applied his craft as a designer and mass producer of art for major retail companies and as Art Director for a Tampa art company. The experiences gave him a greater appreciation for the painstaking process behind fine art construction, and the delicate details that make these individualized pieces special. Tse's breathtaking style is marked by his mastery of his preferred tool, the sponge. With 20+ years painting with sponges, he has unique techniques to create artworks of different styles and aesthetics, from realism to images that seem to come from dreams. 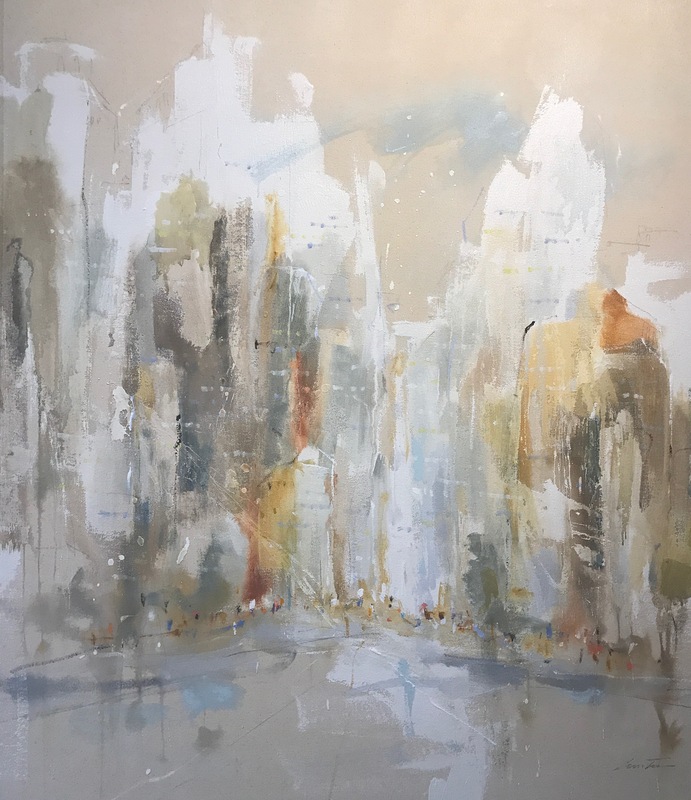 Lun Tse's work is displayed nationally at many acclaimed trade fairs including Architectural Digest Show and Art Expo New York, fine art galleries, and has several private collectors in Canada, United States, England, and Australia.